At R.V. Carey’s, we’re committed to designing and remodeling your bathroom with the highest quality materials, installed by trained and certified technicians, and supervised by project managers with years of experience in bathroom remodeling. 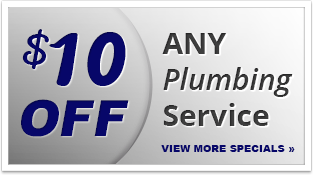 Our plumbers have an average 15 years of experience, and we’ve been providing residential plumbing services throughout the Silver Spring, MD area for years. Build the bathroom you’ve been waiting for—call the Silver Spring bathroom remodelers at R.V. Carey’s at 301-424-8899 or click here! Nothing is more noticeable than an outdated bathroom, and faded colors, cracked grout, and obsolete sinks, tubs, and lighting will make your bathroom feel old-fashioned and out of place in the rest of your home. The Silver Spring bathroom remodelers at R.V. Carey’s can bring your bathroom into the 21st century with soaking tubs, glass shower doors, and all manner of modern appliances and fixtures. Not only is remodeling your bathroom in Silver Spring, MD a great way to make the most of your existing space, it’s also an excellent value-added home improvement project, with many homeowners able to recoup almost their entire initial investment if they decide to sell their homes. Better yet, an updated bathroom makes your home easier to sell. If you’re ready to improve a bathroom or bathrooms in your home, call the Silver Spring bathroom remodelers at R.V. Carey’s today! For bathroom remodeling in Silver Spring, MD, call 301-424-8899 or click here!